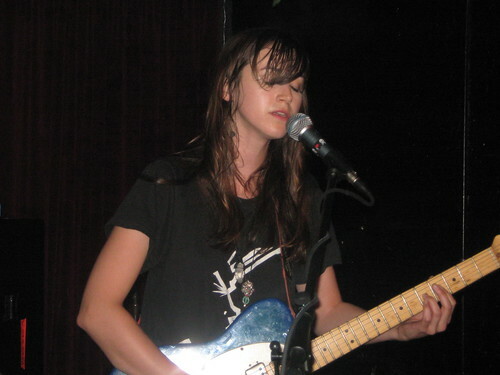 Holly Miranda’s voice can be melodic and it can be percussive, but at her gig opening for The Antlers at Maxwell’s on Saturday she proved that it never lacks for passion and character. From the opening acappella number to the closing Floydian segue, the strength of Holly’s set proved why she is now regarded as one of hottest Brooklyn-based artists in circulation. This set was recorded with the exact same equipment and location as the Antlers recording, and the sound quality is outstanding. Enjoy! If you email nyctaper for access to this recording, we expect that you will PLEASE SUPPORT Holly Miranda, visit her website, visit her MySpace page, and purchase her debut EP Sleep on Fire from her website [HERE].